Trust and global governance in a turbulent age is one of the seven key research priorities of the Economic and Social Research Council (ESRC). We are looking for innovative and methodologically ambitious proposals that link foundational research on the nature and dynamics of trust and trustworthiness, with new empirical research on the relationship between trust and global governance. We actively encourage proposals characterised by interdisciplinarity both within and beyond the social sciences, and would particularly welcome proposals that include a significant international comparative component. 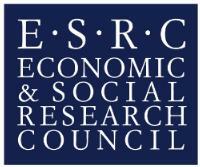 ESRC will be investing £5 million to take forward this exciting research agenda. We expect to fund two or three large grants under this theme. Please find further information on this funding opportunity here.